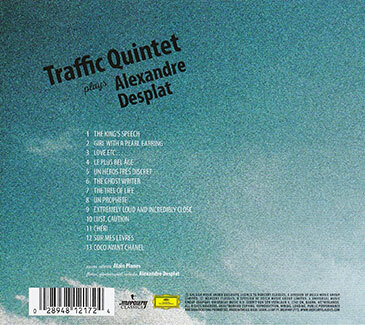 The Traffic Quintet’s latest project is devoted to the music of Alexandre Desplat. 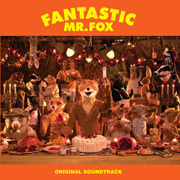 Since both flute and piano figure so prominently in his scores, they naturally suggested themselves when it came to making the arrangements for this album. 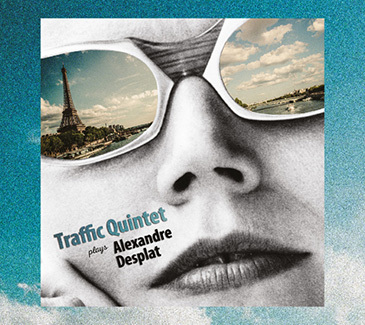 The new ensemble, with added flute and piano, affords a broader musical palette, Alexandre’s music inviting you on a walk.  It wraps you up and lulls you gently into contemplation. 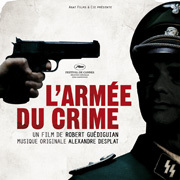 It is a great pleasure to present this most attractive program, to immerse myself once again in the sweetness and variety of Alexandre’s refined, colorful and generous harmonies. 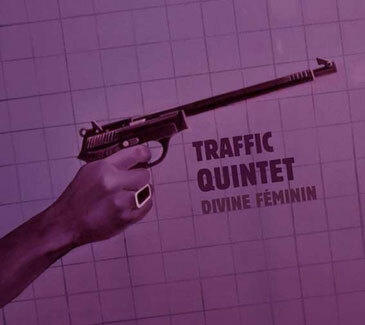 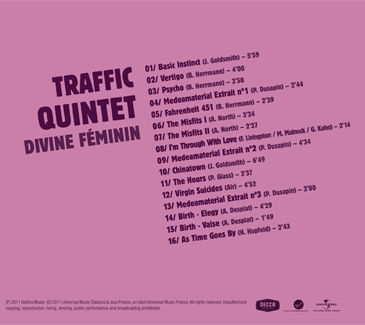 To pay homage to our close and faithful musical companionship, Dominique “Solrey” Lemonnier dedicated the Traffic Quintet’s new album to my film compositions. 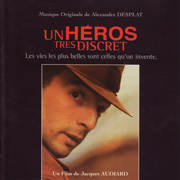 She also devoted the scenario of her new show to my native city, Paris: a stroll on the banks, walking from one bridge to another, experiencing the dark moments of history or the carefree scenes of lovers lying by the Seine under the summertime sun. 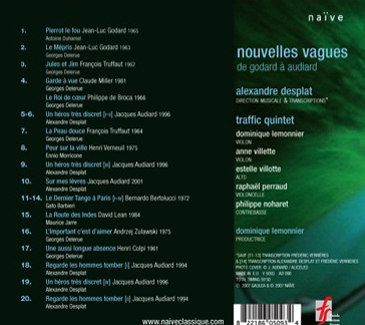 This is how she meticulously designed and put this music program together, trying to capture the changing light, the mysteries and the flow of this French river in my music, from Tree of life to Un Prophète. 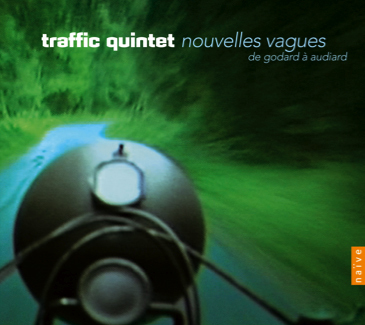 Solrey persuaded me to return to my first instrument, the flute and to join the Traffic Quintet with her friend, Alain Planès at the piano for a show and an album.